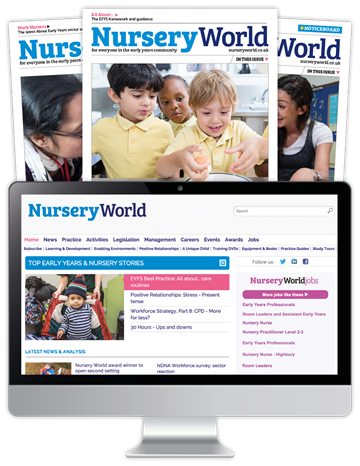 Nursery World is the leading resource for practitioners and decision makers in the early years sector. 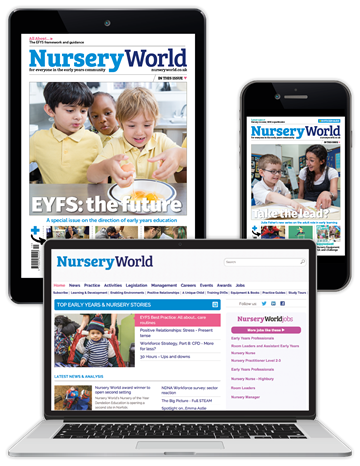 This Easter weekend, we are offering a 20% discount on your subscription, giving you an annual saving of up to £29.80. 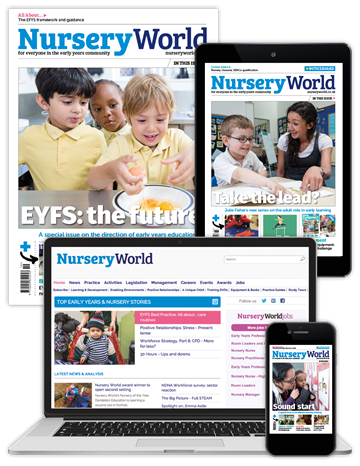 Subscribe on or before 24th April to take advantage of this limited time offer. Use promotional code EASTER20 at checkout.